Easter is such a fun time of year – the bunnies, the brightly colored eggs, sweet candy, and rich chocolate… dressing up for church, feasting on big meals, getting a day off work, pretty flowers. We enjoy all of those things. The traditions and fanfare of it all can be so much fun. But more importantly is the reason for the holiday in the first place – the precious life of Jesus, given for us. It was given in incarnation, and then given in sacrifice, and then given in life resurrected all over again. It’s his life that sustains, his life that brings hope, his life that is the source of all joy, his life that that enables us to really live. Thank you Lord, for who you are, what you’ve done, and all that you continue to do. You always have–and always will be–our reason for living. 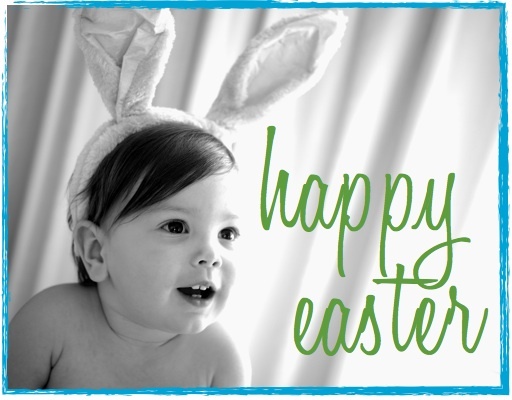 Happy Easter friends and family! May it be one filled with rejoicing and feasting, reflection and thanksgiving, and fun and celebration with those you love.